Pure Water Soquel Project Meeting December 18th! Mark your calendar for the next meeting about Groundwater replenishment and seawater intrusion prevention project (aka the Pure Water Sequel Project). Please plan to attend the public Soquel Creek Water District board meeting on December 18th at 6:00 pm at the Capitola City Chambers – 420 Capitola Ave. Capitola, CA. 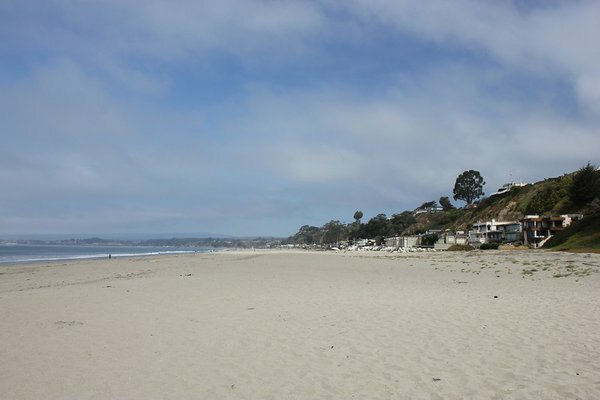 Pure Water Soquel is a project of groundwater replenishment and seawater intrusion prevention. This project will help recycle water for replenishing the groundwater basin and protecting against seawater intrusion using advance water purification methods. Methods can vary, but many systems use water purification that includes three processes: micro-filtration, reverse osmosis, and ultraviolet light/advanced oxidation. 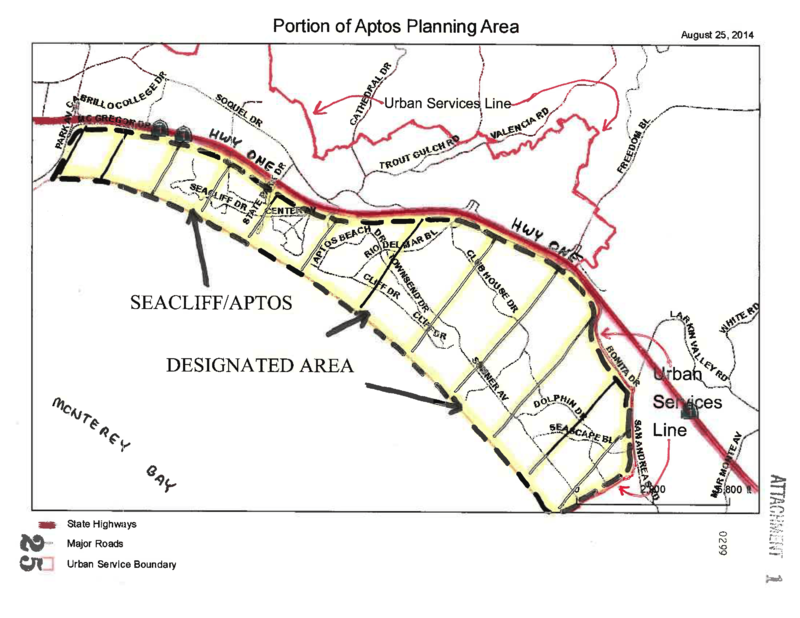 The Project includes facilities in portions of the cities of Santa Cruz and Capitola, and in the Live Oak, Soquel, and Aptos communities of unincorporated Santa Cruz County, California. There are tree sites identified by the Soquel District for the Project water treatment facilities, and five potential sites (among four properties) for recharge wells, and several options for conveyance pipeline alignments. 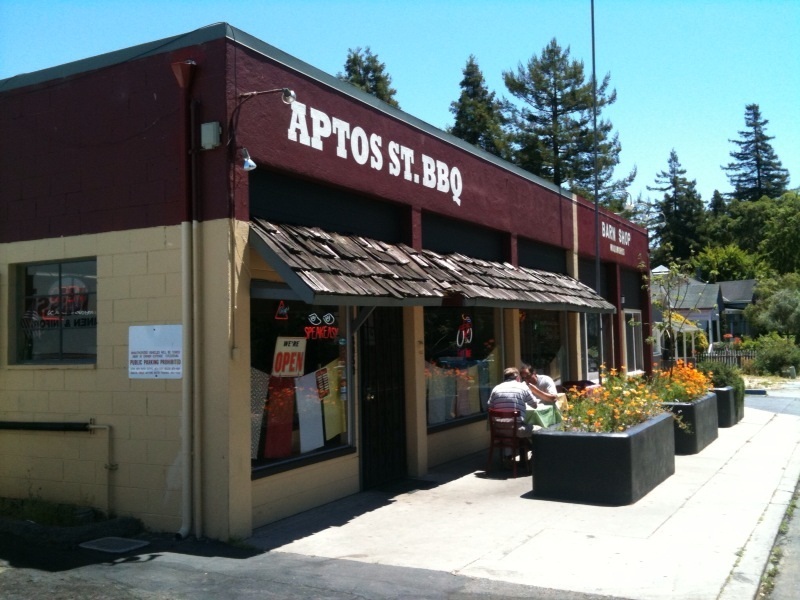 (2) District-owned property near the Capitola Avenue-Soquel Drive intersection, and/or at property on the southwest corner of the Soquel Avenue-Chanticleer Avenue intersection. (4) one site on District property near the Monterey Avenue-Kennedy Drive intersection. The objective of this Project is to help increase the sustainability of the groundwater supply while also stopping and reversing saltwater intrusion, which would be absolutely deadly to our precious aquifer. This project will cost approximately $90 million. Soquel District has been awarded over $2 million in grants and exploring federal grants programs for construction. It is currently in Year 4 of it’s evaluation with technical feasibility and environmental review underway. Once approved, construction could begin on late 2019 with the goal of being on-line by 2022. If you want to learn more about this important project that is coming to our community don’t miss this meeting! It is critically important that those in favor of replenishing and revitalizing our aquifer show up to this meeting and let the Soquel Creek Water District know you support their efforts. Ahh, the 1970’s. So much was happening: the Vietnam war, Richard Nixon’s impeachment, the Arab oil embargo, Jimmy Carter. The Grateful Dead were arguably at the top of their game (Cornell ’77 anyone?). Loud clothing was all the rage. 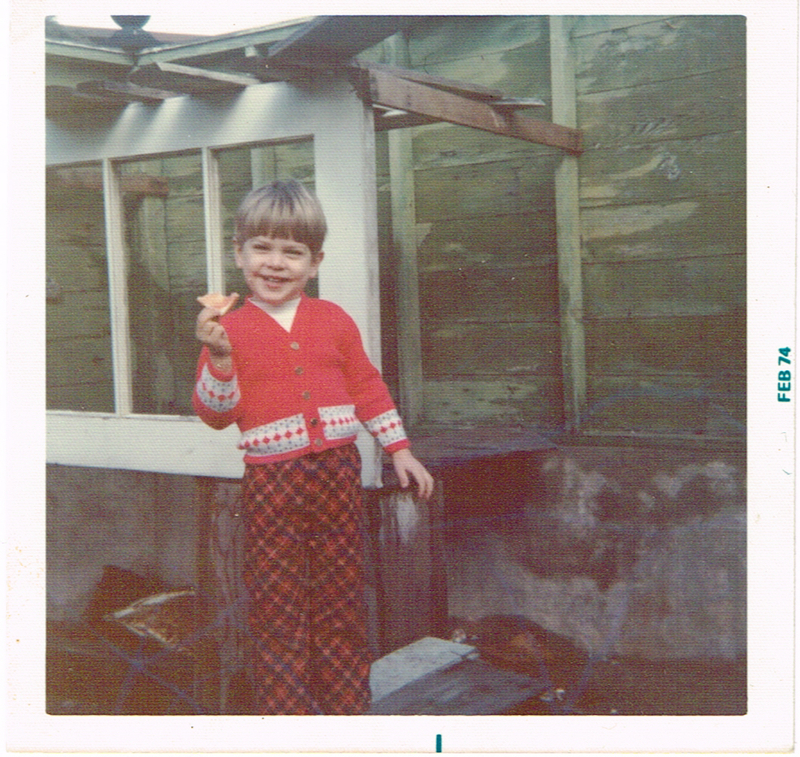 I was oblivious to most of this at the time, except the loud clothing. Thanks to my parents, I totally rocked that. My brother, sister and I bought it from our family and held onto it for I think about 10 years or so, but eventually sold it back in 2008. Sigh. I still spend a lot of time in Seacliff, as today, we live only about a mile away as the crow flies. Some things change, some things don’t, but one thing is for sure: my kids are considerably better dressed than I was back in the day. There was the MLS book. To you youngsters out there, it may seem incredible, but there was once a time when Joe Sixpack couldn’t just jump on his smart phone and browse the latest real estate listings. Real estate listings were a closely guarded commodity belonging only to Realtors. If you wanted to know what was for sale, you had to talk to a Realtor. 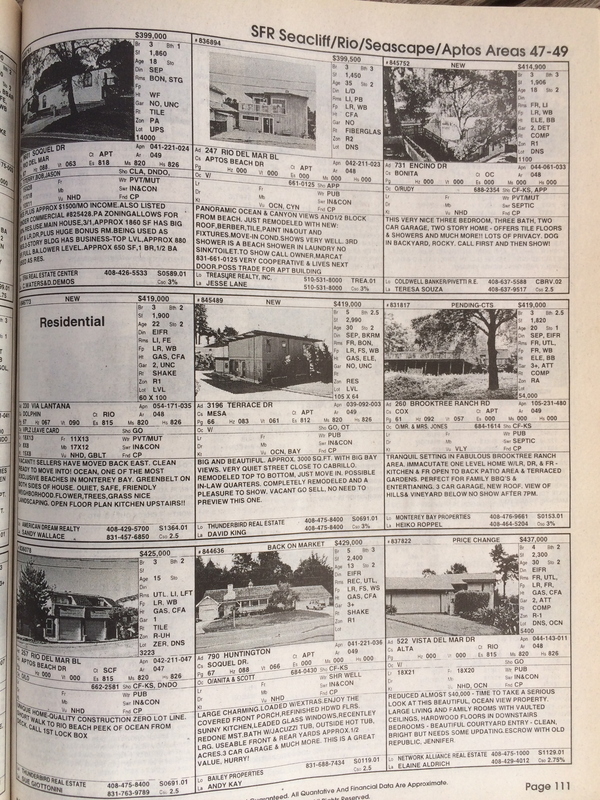 Realtors would browse through the MLS book, updated twice a month, to find homes to show buyers. Most civilians have never seen the inside of an MLS book. 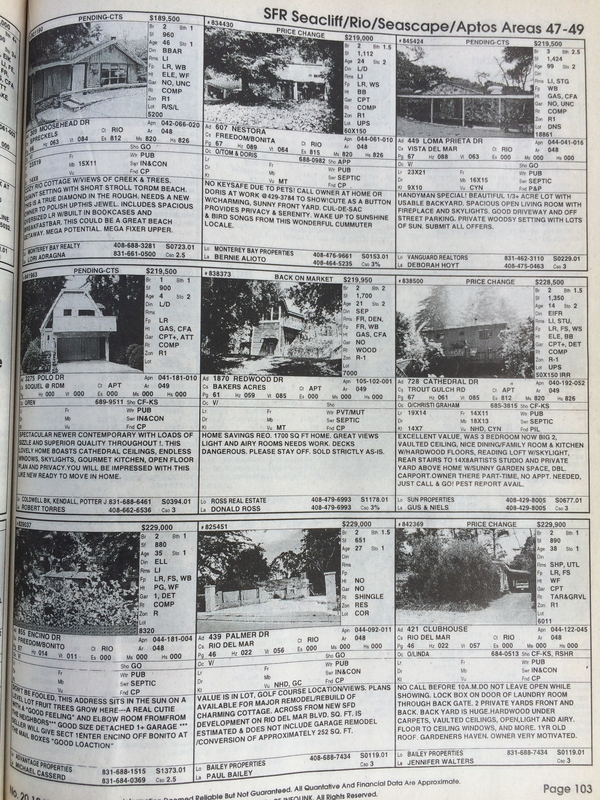 And neither had I, until just yesterday, when I met someone who actually had what was probably one of the last MLS books ever printed in Santa Cruz county, in 1998…at least, the current MLS system has listings beginning in 1998, and not before.